In a restaurant, once the waiter hands me the menu, the first thing that would easily attract my attention is usually the picture and the description of the dishes. A menu without having descriptions for each dish, or at least a picture for some dishes is one factor that could lead to the downfall of a restaurant. 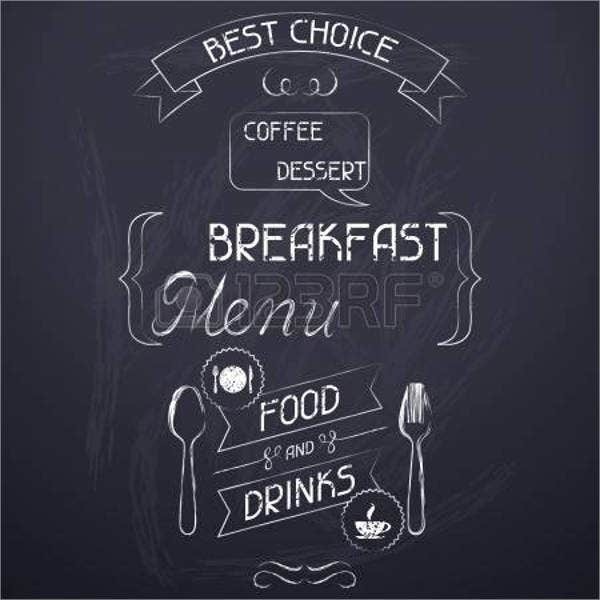 People like menus that are clearly written and easy to read, and people like menus that are arrange in order such as appetizers, main dishes, desserts and beverages. 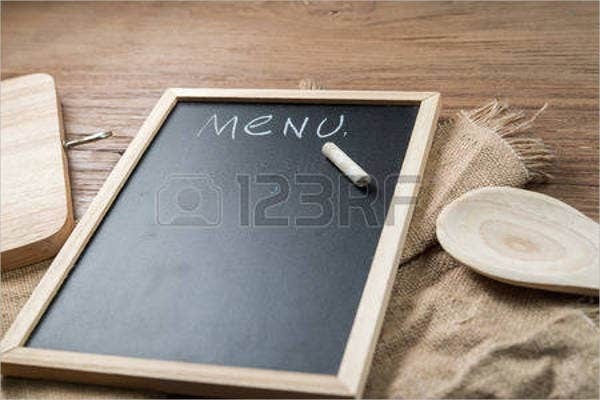 The menu is essential for all restaurants and it plays an important role in promoting the business. 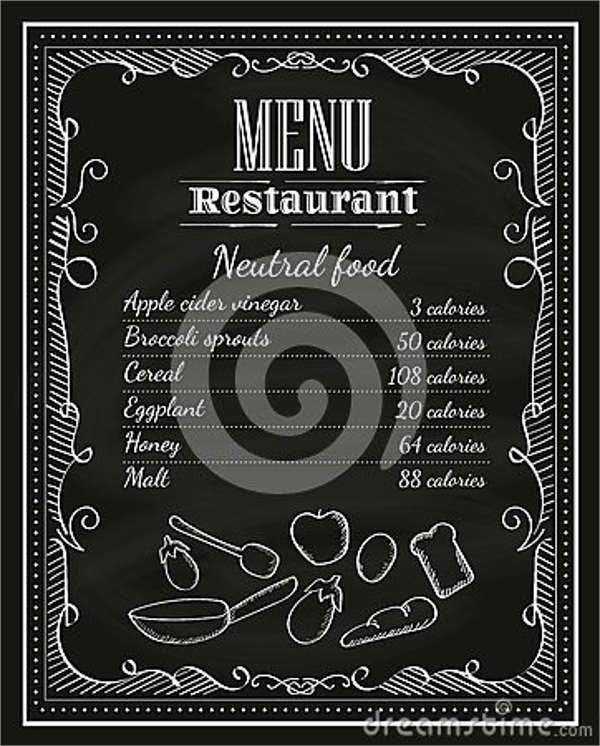 A menu not only provides information about the food items available at the restaurant along with their prices, but it can also help in enticing the customer to order the food. A menu should be attractive and informative, and by informative, it doesn’t have to be long and detailed, but it should be able to provide the necessary information about the dish. 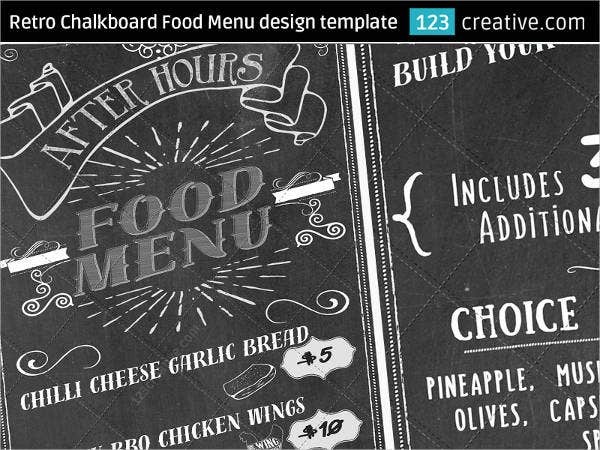 If you’re a start-up restaurant, these chalkboard Table Menu Templates are a great help to you. 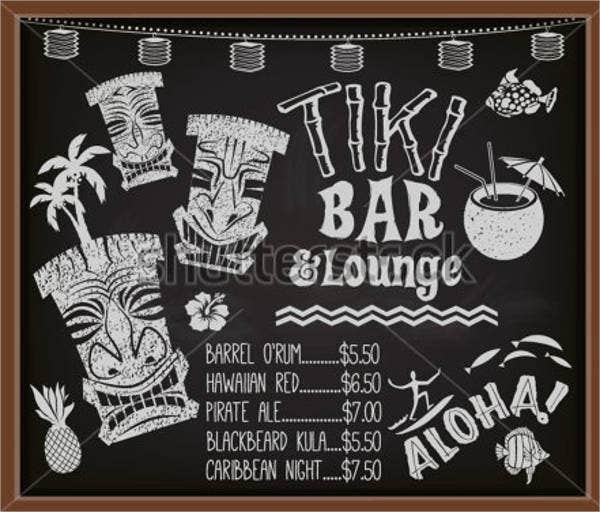 Also referred to as a blackboard, it is a writing surface where text can be written and drawings can be made using chalks, which are sticks made of calcium sulfate or calcium carbonate. Chalkboards can be reused over and over again simply by wiping of the chalk markings with a chalkboard eraser or any cloth. 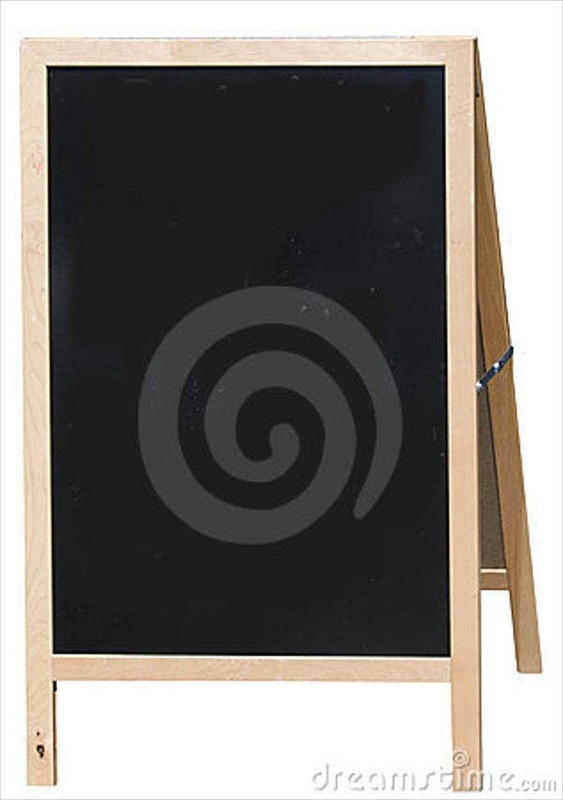 The earliest form of chalkboards were made of smooth sheets of black or dark grey slate stone. 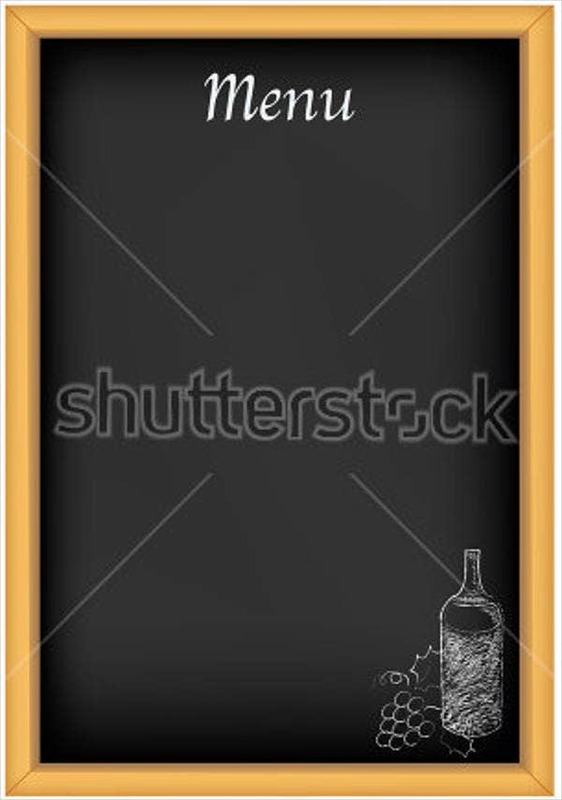 Today, most chalkboards are made of pieces of board painted with matte black or dark green paint. 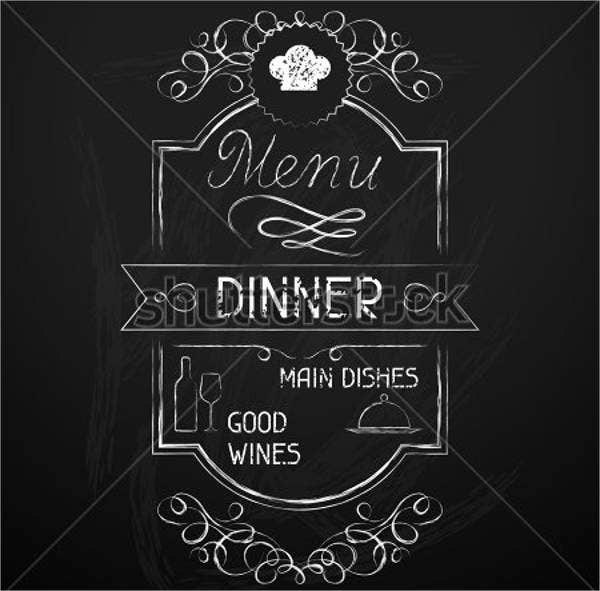 Some chalkboards are made of black plastic sign material, but the highest grade chalkboards are made of a rougher version of porcelain enamel steel, and this usually come in various colors. Porcelain is very durable, and chalkboards made of porcelain can last up to twenty years even with intensive use. What Is the Origin of the Chalkboard? 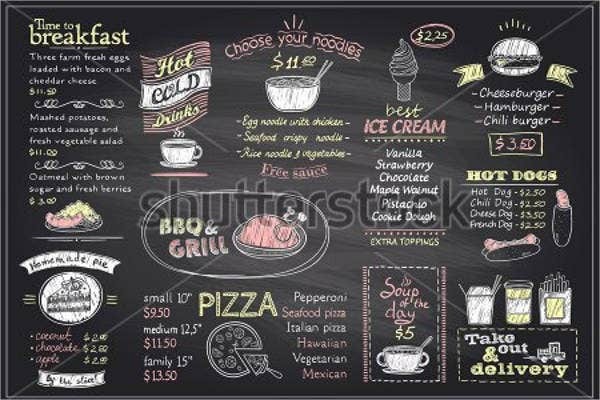 The modern chalkboards began in 1800, when James Pillans, the headmaster of the Old High School of Edinburgh, Scotland, wanting to offer geography lessons to his students that required larger maps, connected a number of smaller slates into a single grand field. And in 1801, George Baron, a West Point mathematics teacher, also began to use a board of connected slates, the most effective way, he found, to illustrate complex formulas to a larger audience. It was first given the name blackboard, which is a term that was first used in 1815, and the use of this spread quickly. By 1809, every public school in Philadelphia was using them. Teachers now had a flexible and versatile visual aid, a device that was both a textbook and a blank page, as well as a laboratory, and most importantly, a point of focus. The blackboard illustrates as well as being illustrated. Students no longer simply listened to the teacher, they now had a reason to look up from their desks. 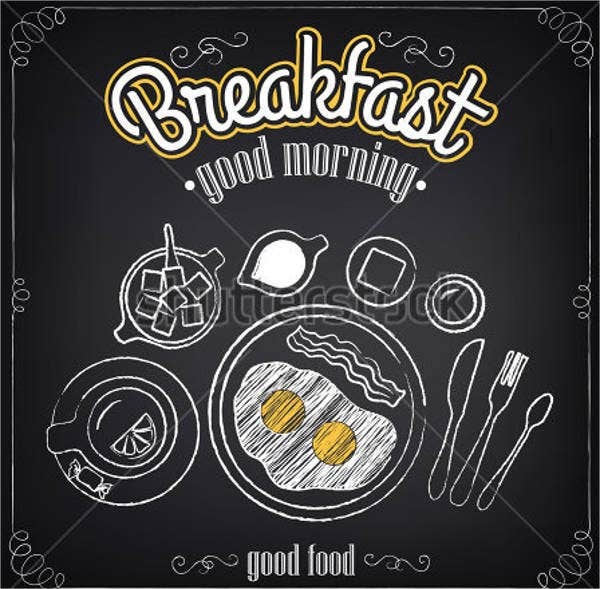 In the 19th century, particularly in rural areas, chalkboards were often made from scratch, rough pine boards nailed together and covered with a mixture of egg whites and the carbon leavings from charred potatoes. By the 1840s, blackboards were manufactured commercially, smoothly planed wooden boards coated with a thick, porcelain-based paint. 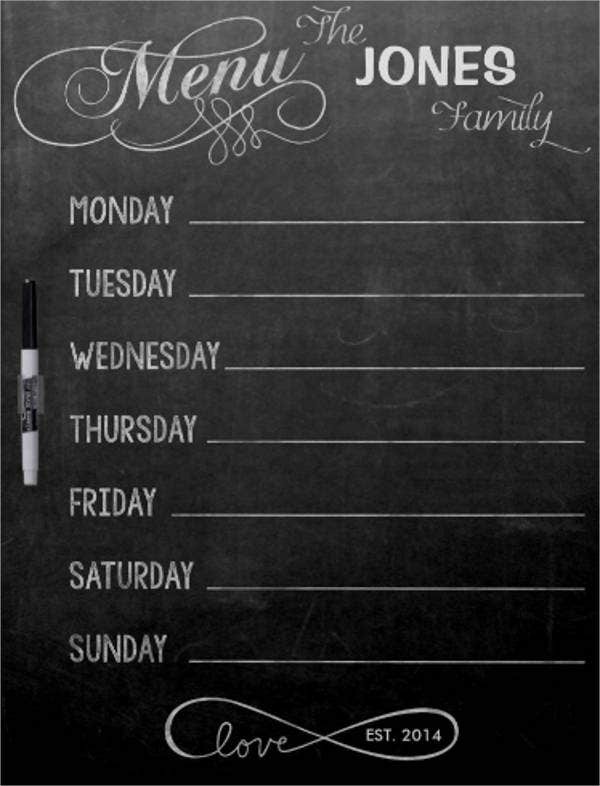 In the 20th century, blackboards were mostly porcelain-enameled steel and could last 10 to 20 years. 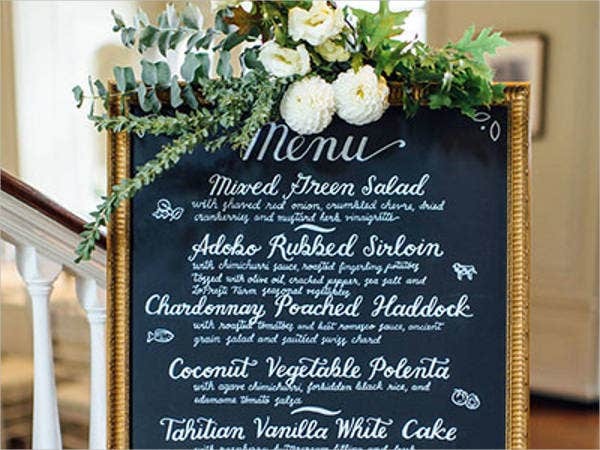 While black was the commonly used color for blackboards, a green porcelain surface, first used around 1930, minimized glare to a large extent, and as this green surface became more common, the word chalkboard came into use. For chalk sticks, chalk already existed before the first blackboard was made. The chalk with which we write on boards isn’t actual chalk but gypsum, the dehydrated form of calcium sulfate. Gypsum is found naturally and can be used straight out of the ground in big chunks, but it can also be pulverized, colored, and then compressed into cylinders. What Are the Advantages and Disadvantages of Using Chalkboards? In today’s modern generation, the blackboard had been faithfully reconstructed as a souvenir of the school’s distant past, while the teacher and students mainly used the whiteboards that covered the other walls. Whiteboards are the norm these days, and all to the better, for most people, if only for their lack of screeching. But the whiteboard gets rid of the long-standing classroom practice, which is cleaning the erasers regularly. In here, we discuss the pros and cons of chalkboards. Chalk requires no special care whereas whiteboard markers must be covered with a cap or else they will dry out. Chalk is far cheaper than whiteboard markers for a comparable amount of writing. Chalk makes it easier to draw lines of different weights and thicknesses than with whiteboard markers. Dashed lines can be drawn very quickly using a technique involving the friction of the chalk and blackboard. Chalk has a mild to almost no smell at all, whereas whiteboard markers often have a pungent odor. Chalk writing often provides better contrast than whiteboard markers. Chalk can be easily erased, whereas markings left on a whiteboard for a prolonged period may require a solvent to remove. Chalk can be easily removed from most clothing, while whiteboard markers often permanently stain fabric. Chalk produces dust, which some people find uncomfortable or may be allergic to it. The writings on chalkboards are difficult to read in the dark. Chalk sticks get small and sometimes break through use. The surface of chalkboards produce extremely irritating sounds when a sharp object or a person’s fingernails are rubbed against it. 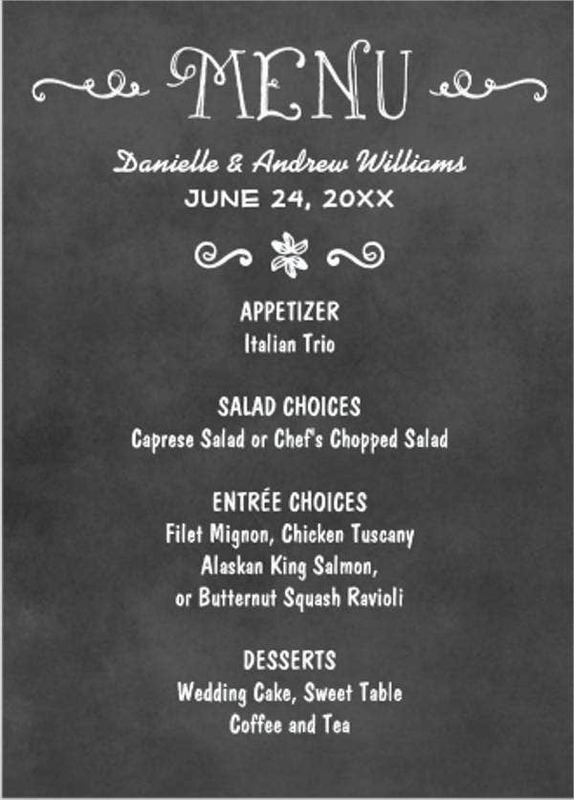 For more menu templates, you may want to check out our collection of Hotel Menu Templates, Banquet Menu Templates, and Holiday Party Menu Templates. 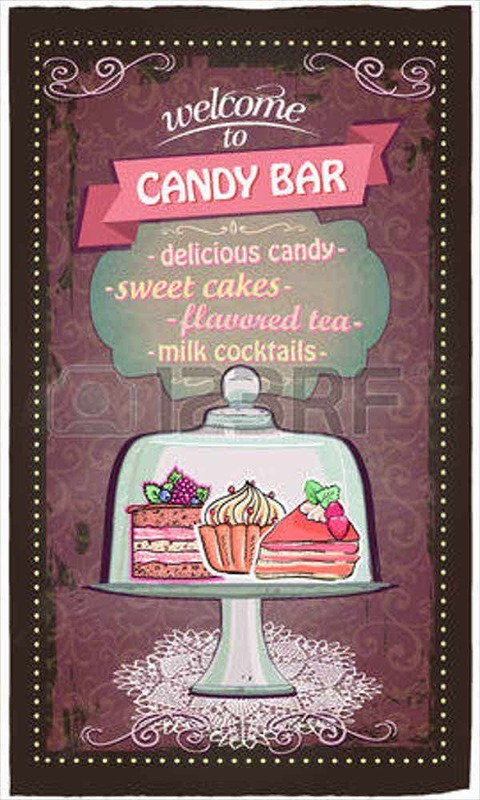 A menu is a list of all food and beverages the restaurant or diner is offering. A menu may serve as the introduction of the food and even explain the contents of the food and how it is made. 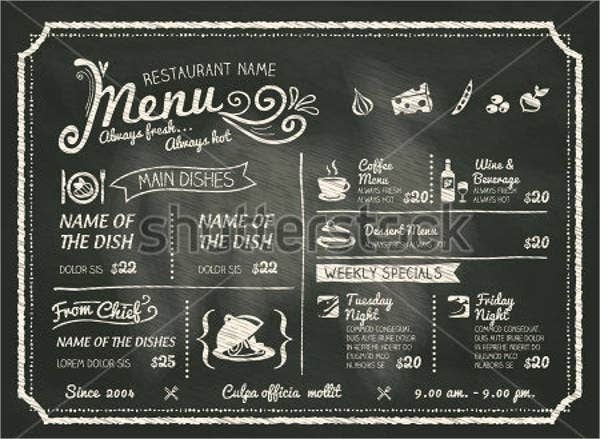 Basically, a menu is the main way for customers to see the food and beverages available, including their corresponding price, so they can make their orders. In the early days before the existence of restaurants, a menu had always acted as a list of all the food to be served during a banquet. But today, the menu has become an important communication method from the food server to the customer. It is also a requirement for restaurants to display menus that clearly inform customers about the price of their food and other inclusions, such as service taxes and other charges that are applied. 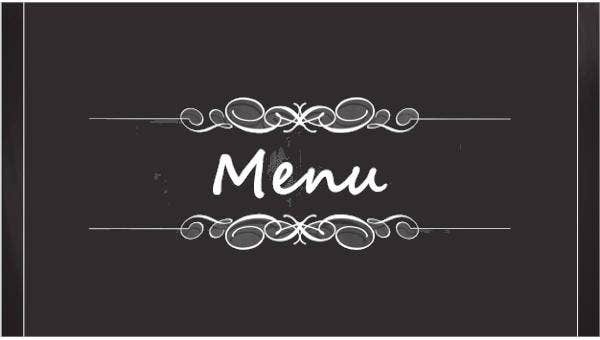 What Are the Types of Menus? 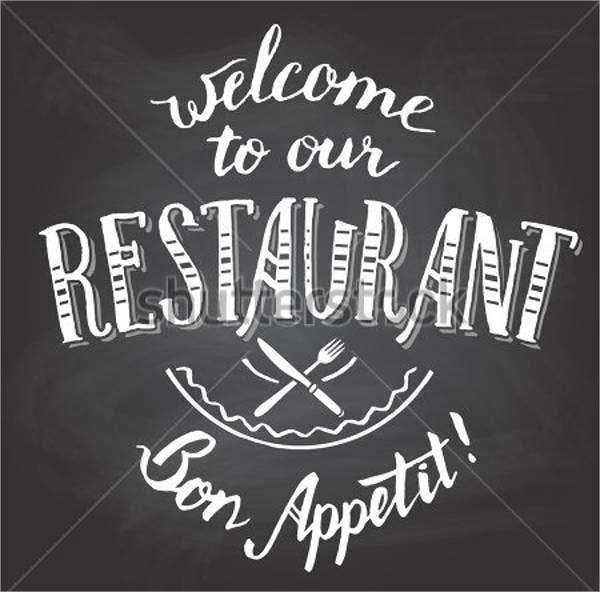 Aside from restaurants, menus can also be found in other places that serve food such as diners, hotels, schools, and other food service outlets. 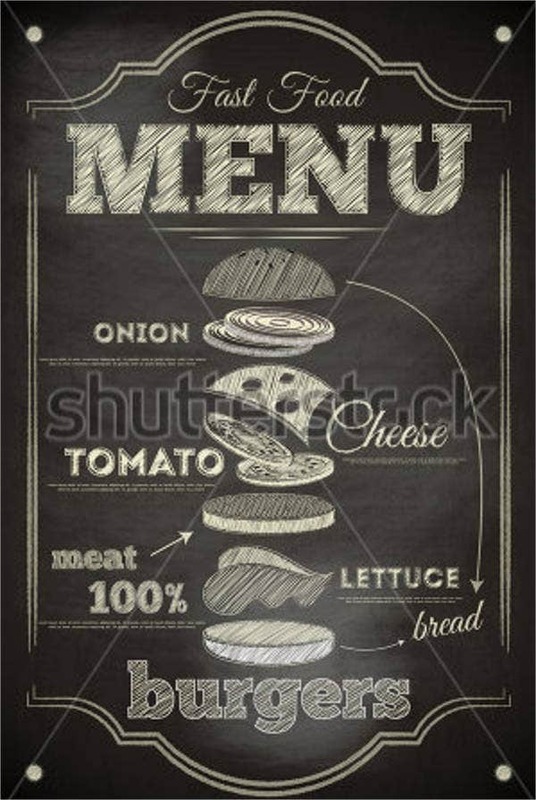 This is the most common type of menu which has been accepted widely. Different food items are categorized into different groups and subgroups such as appetizers, main dishes, salads, soups, desserts, and more. 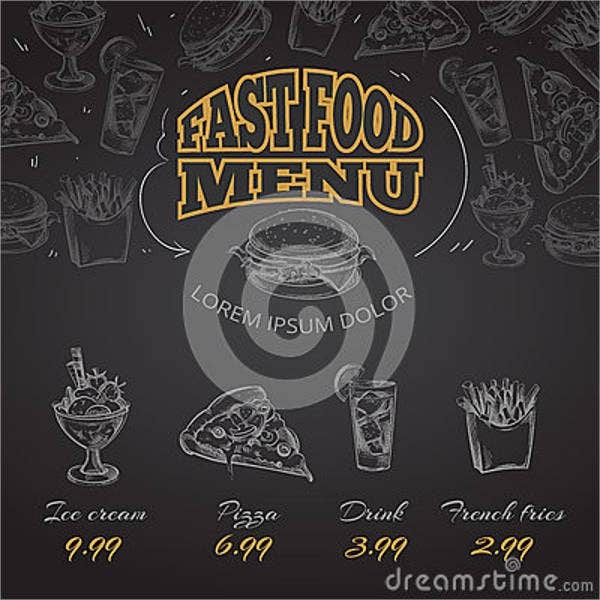 Most fast food restaurants use this type of menu. Traditionally, the A la carte menu gives the full list of every dish available from the restaurant kitchen with individual prices on them. This type of menu may be classical or modern in style and should include a full range of dishes, soups, main courses, vegetables and desserts. It is commonly known as a set menu or a daily menu with a set price. 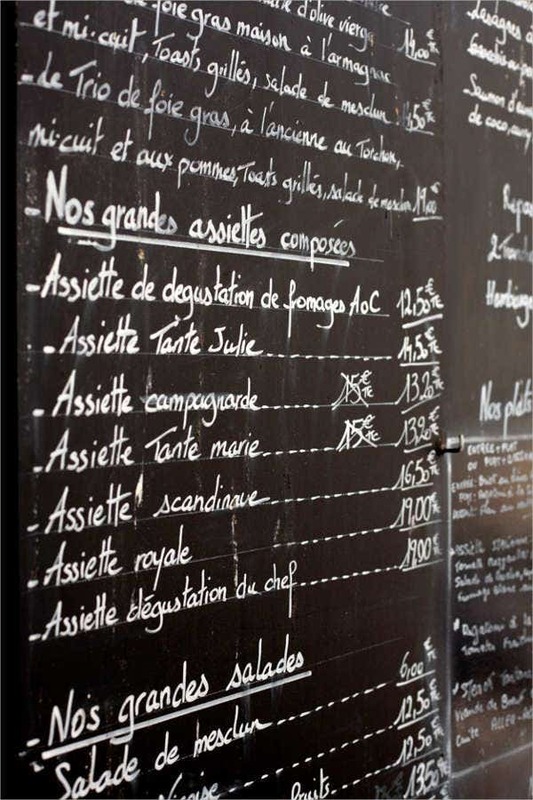 The table de’hote menu implies a limited number of choices offered for an inclusive price. A set number of courses usually includes the appetizer, the main course, and then the dessert, for a fixed price. Usually there are two up to four different courses to this type of menu. When food items are being changed constantly, this type of menu will be the best choice. Many restaurant practice offering special foods on seasons or even daily. In such restaurants, the Du Jour menu can be used. This is also known as “Chalkboard Menu” as making changes in the menu will be easier in this case. This is a series of menus that are rotated to set dates or times. The menus differ day by day to avoid repetition and to ensure that the customers are receiving a balanced diet. 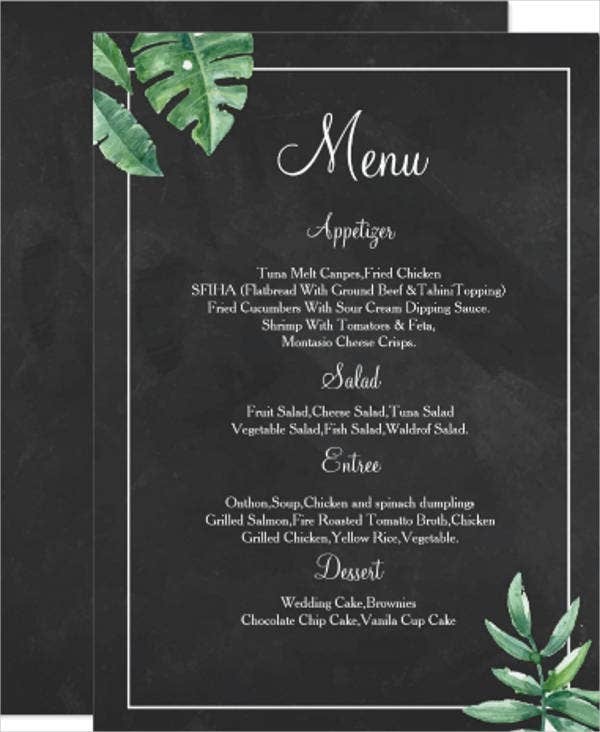 These menus are often used in large facilities such as institutions and jails, where the same customers are being catered for over an extended period of time. 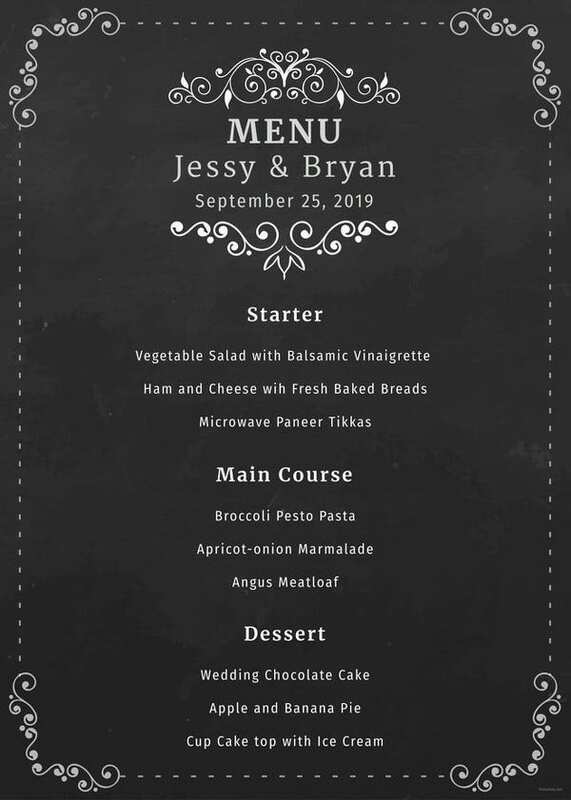 For this, there is no written menu that the customers can see, the host or organizer gets to choose the selection of food in advance at a set price or per item until the occasion is finished. A buffet restaurant offers customers a large selection of foods from a self-service bar at an all-inclusive price per person. 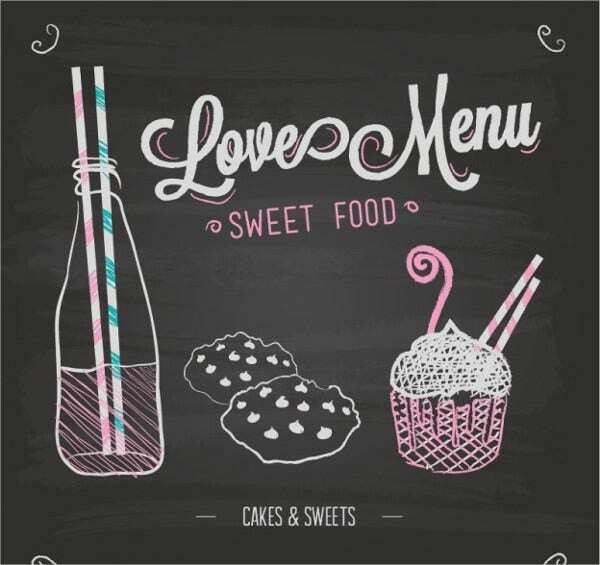 Sometimes, it also offers the customer with very detailed and attractive menus of extras, such as side dishes and beverages. The European-style cafe or brasserie is an increasingly popular menu as customers respond to the convenience of all day dining and flexible menus. 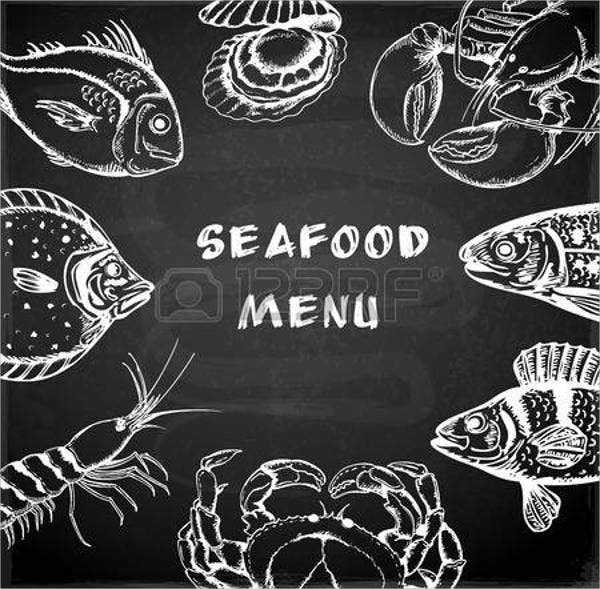 Menu items are well described with plenty of information about the ingredients. 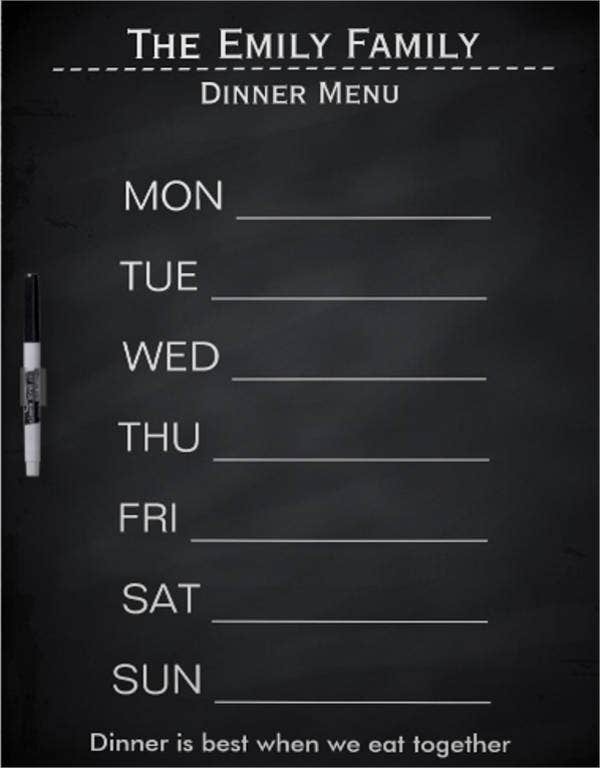 The basic menu is usually supported by a chalkboard and daily specials. 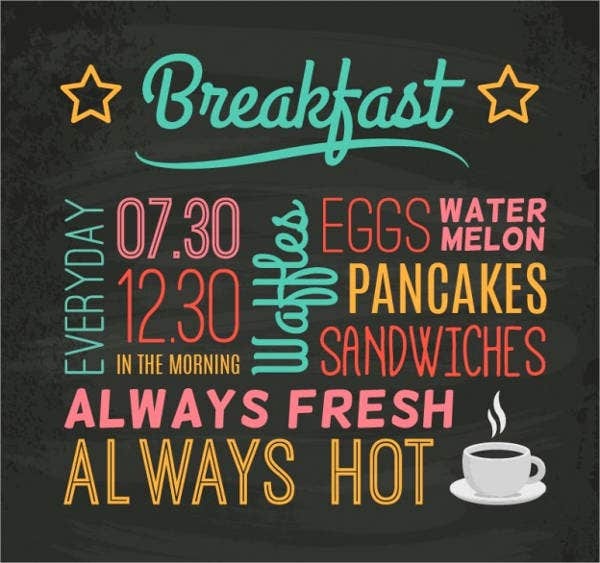 Hospital menus usually consist of a limited choice of dishes written on a card that is filled up by either the patient indicating their choice on the day prior to receiving the ordered dishes or the physician specifying their diet that is appropriate for their condition. Usually, the menu choice consists of two or three different courses with dietary options available. Hospitals will usually cater for special dietary requirements according to the patient’s religion, culture, or even allergies. School Menus gives emphasis on healthy eating and it has been firmly placed onto the school menu agenda. All menus written have to be nutritionally balanced and offer suitably sized portions to give each student a healthy and nutritious meal everyday. 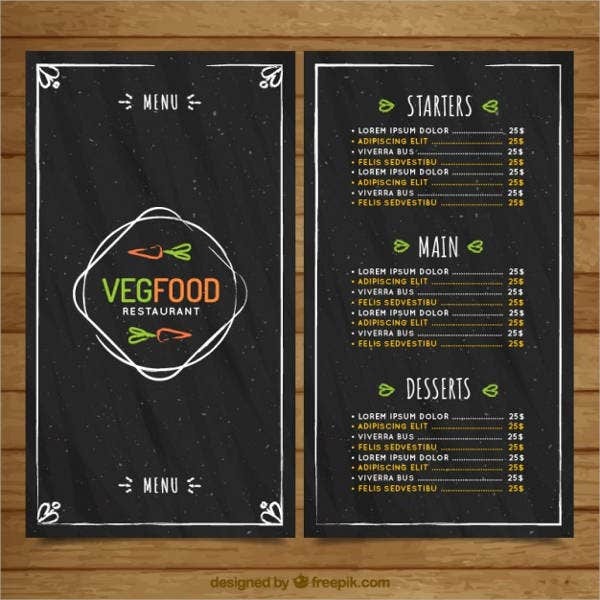 For even more menu templates, you might also want to check out our collection of Menu Mock-ups, Restaurant Menu Designs, and Free Menu Templates. Sketch a mock-up of the basic layout of your menu. Choose a color scheme that matches the theme of your restaurant. Write your food items in an organized and easy to understand order. 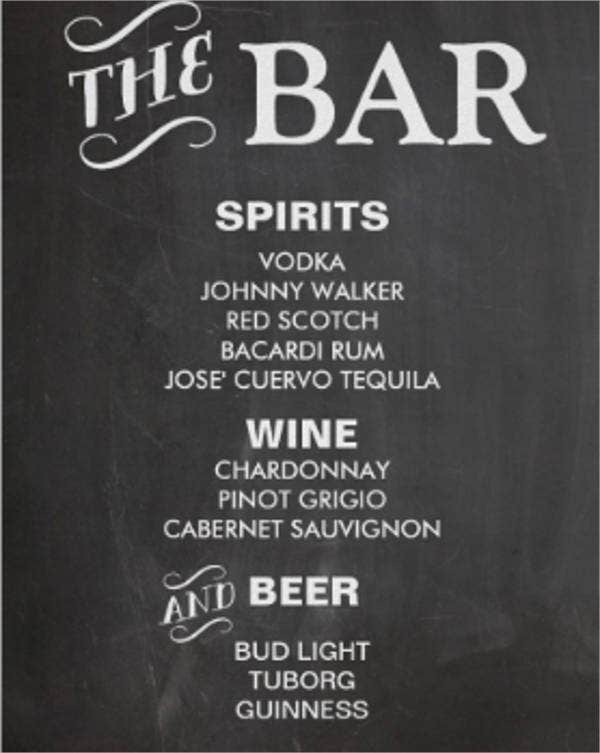 Break your menu into sections to give the customers less hassle when looking for food or beverage items. List down the different food items with their corresponding price. Under each item, write a short description of the food item and how it is prepared. Include a few economy dishes that are fairly affordable to most people as well as some more expensive ones for those who can afford. Offer diet-specific dishes, such as for vegetarians, vegans, low-calorie or low-fat diets. Consider offering discounts for seniors, people with disabilities, and other special groups. Add exceptionally taken pictures of your dishes to attract your customers visually while they choose what to order. 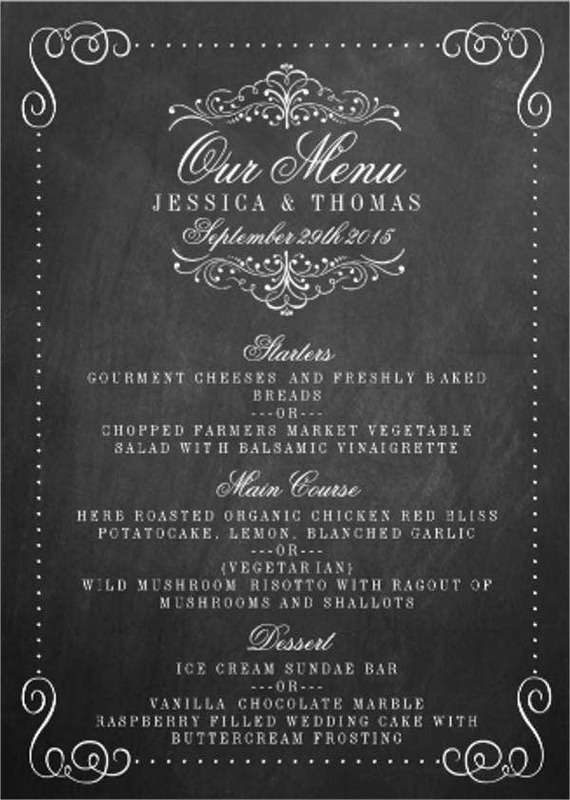 Finalize your menu on the computer. Keep your fonts simple. Don’t use more than 3 font types to avoid making your menu look messy. Visually balance each page by managing the overall area of content and leaving enough room for white space. 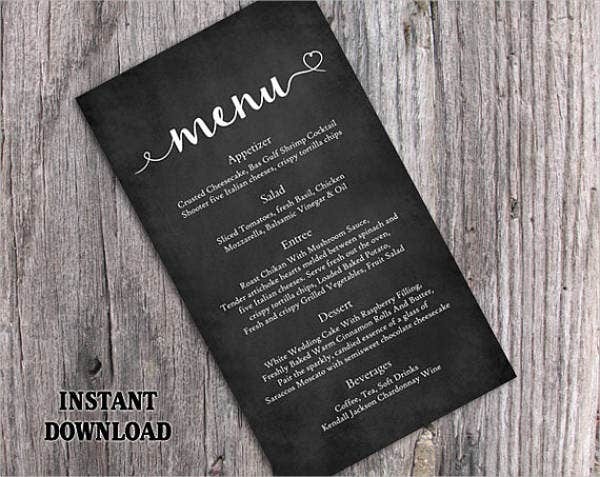 Why Download our Menu Templates? 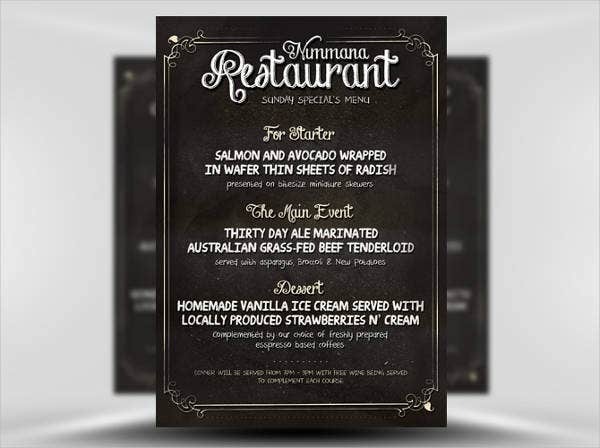 These menu templates were selected from among the best ones on internet and were designed by creative and imaginative graphic artists from all around the world. You may be able to download these templates easily for a very reasonable price, and you can choose to save it in different formats such as PSD, AI, or EPS, depending on which format suits you best. 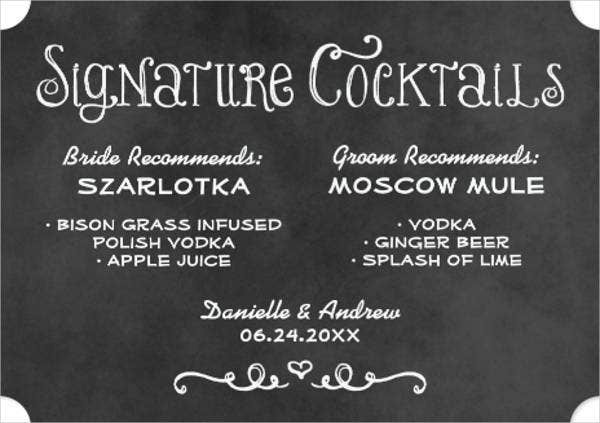 These templates are fully editable and are compatible with most photo editors available to provide you with ease during the editing phase, wherein you can make all the customization needed for your chalkboard menus. 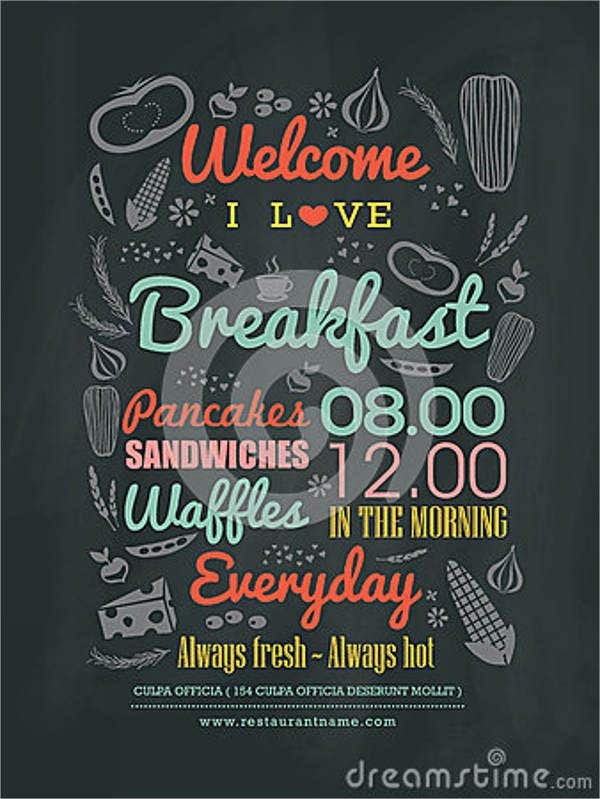 However, if you want chalkboard-themed templates, don’t hesitate to check out our collection of Chalkboard Flyers, Best Chalkboard Fonts, and Chalkboard Designs.